Mr. Eng is the founder of the firm and its former Senior Partner. 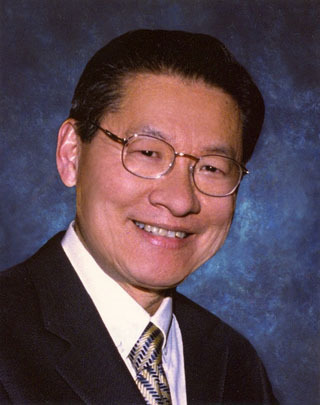 Mr. Eng received his law degree from UCLA and practiced exclusively immigration and nationality law since 1975. A recognized authority in the field of immigration and citizenship, Mr. Eng has represented over 20,000 businesses and aliens in the fields of health care, computer science, engineering, accounting, scientific and medical research, nursing, religious non-profits, music, teaching, academic research, law, medicine. He also maintained a large practice involving family immigration. Mr. Eng has distinguished himself as the co-author of the First Edition of Immigration Law and Defense, published by Clark Boardman Callaghan. He has also authored numerous articles in the Los Angeles Times and other publications. Mr. Eng was a longtime member of the American Immigration Lawyers Association and has chaired a panel on health care professionals at its annual convention. He has appeared on television stations ABC, NBC, CBS, and on KNX and KFWB radio as a leading authority on immigration issues. He was awarded the 1997 Angel Island Award for his leadership in the area of immigration and nationality issues and has taught courses at UCLA. Mr. Eng was a longtime member of the Los Angeles County Bar Association and is admitted to practice before the United States Supreme Court, the Ninth Circuit Court of Appeals, where he has appeared to make oral arguments, and the state courts of Hawaii. Bert attended the University of California at Los Angeles (UCLA) and the University of California at Berkeley, receiving his B.A. degree from University of California at Berkeley. Mr. Nishimura received his J.D. degree from the UCLA School of Law. Mr. Nishimura’s practice includes all aspects of immigration and nationality law and related family and business law matters. Mr. Nishimura has represented hundreds of businesses from sole proprietorships to major multinational organizations as well as individuals. Mr. Nishimura is a member of the California Bar and is admitted to practice before the United States Court of Appeals for the Ninth Circuit and the United States District Court, Central District of California. He is also a member of the Japanese American Bar Association, the Los Angeles County Bar Association, and the American Immigration Lawyers Association. Mr. Nishimura is a volunteer attorney for the Asian Pacific American Legal Center, the Japanese American Bar Association, and the Little Tokyo Service Center. Wayne received his B.S. in Business Administration with emphasis in Accounting from California State University, Los Angeles in 1992 and his J.D. degree from Southwestern University School of Law in 1996. Mr. Ng is a member of the California State Bar and is admitted to practice before the California Courts and the United States District Court, Central District of California. Mr. Ng has represented clients in both employment-based, family immigration, U.S. citizenship, and DACA matters before the U.S. Citizenship and Immigration Services, U.S. State Department, the U.S. Passport Agency, the Immigration Court, and U.S. Consular interviews in Mexico. Mr. Ng primarily handles employment-based/business-related nonimmigrant matters including H-1B, L-1, E-1, E-2, E-3, H-3, TN, R-1 and B-1, and greencard cases including EB-1, EB-2, EB-3, and religious worker special immigrants, as well as PERM labor certification cases and appeals before the U.S. Department of Labor. He is a member of the Los Angeles County Bar Association, and the American Immigration Lawyers Association.